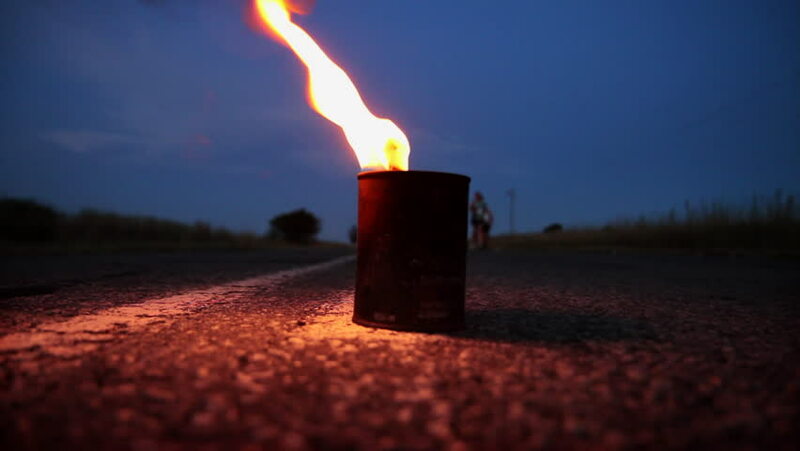 Low angle view at the 2011 Ottosdal Night Marathon where runners start at sunset and run into the night, guided only by paraffin lanterns set in the middle of the road. hd00:30House building on fire at night. Blaze Inferno conflagration and combustion. hd00:13Oil, gas torch. Preparation and production of petroleum products. The oil factory. A bright sight in the night.